Selling a home is an emotional ride in normal circumstances, but when the home you’re selling is one inherited from a recently-deceased loved one, the experience can be even more trying. If that property happens to be a lake home, the process can quickly become overwhelming. Having a fundamental knowledge of the taxes, costs and challenges associated with selling inherited real estate can help prevent adding unnecessary stress on your family. 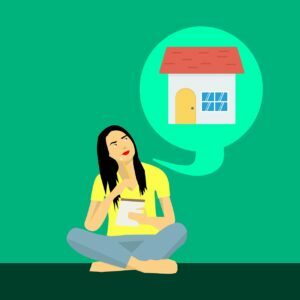 If you’ve lived in a home for at least two years in the last five, it’s likely your property qualifies for a tax exclusion, which allows sellers to keep up to $500,000 of sale proceeds. Most lake properties, however, serve as vacation or second homes rather than primary residences, which disqualifies owners from benefiting from this exclusion. Consequently, inheritance beneficiaries are ineligible for this exclusion as well, but the IRS has put into place certain other tax advantages to help prevent inheritors from paying exorbitant capital gains taxes on lake homes that have appreciated significantly. Based on the seller’s taxable income, capital gains taxes are collected on the difference between what a property was originally purchased for and its final sales price. Fortunately, step-taxes are applied to inherited properties, which determines a lake home’s value based on its fair market value at the time of its most recent owner’s death. What this means is that rather than paying taxes on a home that was purchased for $100,000 but has appreciated to $250,000, sellers only have to pay capital gains taxes on however much the home appreciates from $250,000 at the time of inheritance to what it eventually sells for. Because of step-up taxes, most inheritance sellers avoid paying much on capital gains, unless the property stays on the market for a considerable time between the date inherited and the date sold. An additional transfer tax is applied once the title of ownership is finalized. Once sold, sellers are required to report any profits of the transaction to the IRS as taxable income. When a homeowner dies, their bills do not suddenly disappear. During probate — the judicial process during which the deceased’s will is proven valid or the residing court determines the rightful heir(s) to the deceased’s estate — next of kin, like spouses and children, must maintain payment on ongoing home expenses. These are often referred to as administrative expenses and include mortgage payments, if applicable as more than half of lake homes are cash transactions, HOA dues, condo fees, property taxes and homeowner’s insurance. In lake real estate, additional costs may apply such as marina rental fees, additional flood and weather insurance and home security services. Lake properties also require more maintenance than most primary residences because of their proximity to water and prolonged exposure to moisture-rich air. Experts recommend weatherproofing a property’s wooden structures, like boat docks and decks, at least once a year. In areas where there is frequent rain or high humidity, homeowners may be looking at repeating this process multiple times a year. Inherited properties that are not regularly occupied may also require vacant or unoccupied home insurance as well as routine grounds maintenance. After beneficiaries have been determined, real estate-specific financial responsibilities then fall to the person who inherited the property or is divided evenly among multiple beneficiaries if more than one is named. Lake homes are priced much differently than off-lake properties because their values are based on location in addition to structural features. This is why a 3 bed, 2 bath home on the lake may be $100,000 more expensive than a similar home in an off-water suburb. In general, lake real estate tends to stay on the market longer than other types of real estate because listings are mostly discretionary properties. An improperly priced home can significantly impact how long a property stays on the market, therefore affecting how much will be owed in capital gains taxes. 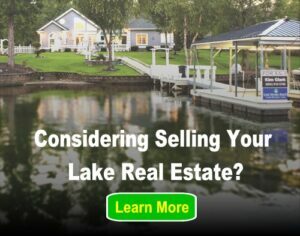 The likelihood that your inherited lake home will stagnate on the market increases when you list as for-sale-by-owner. According to Zillow’s 2017 Consumer Housing Trends Report, only 11 percent of for-sale-by-owner properties sold without any real estate agent interaction. Because of the taxes and nuances that come with selling an inherited lake property, it’s in the sellers’ best interest to hire a real estate professional. Lake real estate agents know the ins and outs of the area’s real estate market and will be able to price your newly acquired property objectively and appropriately. Additionally, many lake real estate buyers come from out-of-state, which means your inherited property will need national exposure to niche-specific consumers, which most non-real estate professionals do not have the resources for. Real estate agents will be able to help you navigate through these challenges as well as handle all the paperwork and negotiating for you, allowing you and your family to grieve properly.